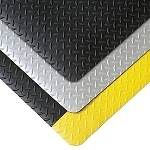 The 522 Cushion-Lok with Grip-Step Floor Mat is the perfect anti-fatigue floor mat for extremely harsh working environments that are prone to chemicals, oils, greases spilling and leading to slip accidents. Now workers can perform standing for longer periods of time thanks to the 7/8 inch thickness of this floor padding that allows for proper blood circulation to reduce muscle fatigue and back pain resulting in production increase. 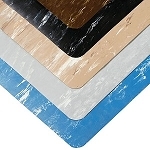 PVC (Polyvinyl chloride) material is used because of its high resistance to industrial chemicals, oils, and greases increasing the life of this durable floor covering. 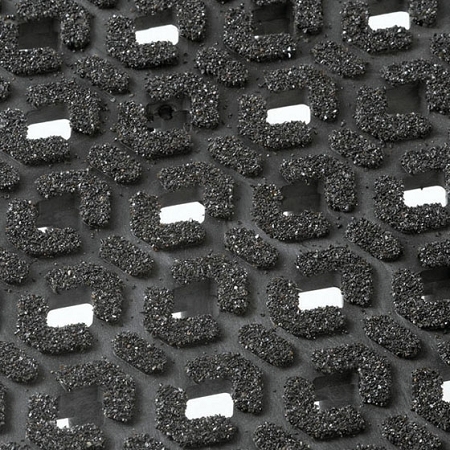 Drainage is possible and expedited through the hundreds of portholes and blades under the matt to increase traction and keep workers out of the spillage. 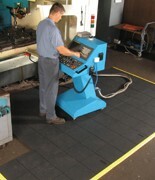 The Grip-Step is a thich gritted layer that adds extra traction to prevent slip and fall accidents.